As an officer in the 9th Battalion The Royal Irish Fusiliers, Lieutenant Geoffrey Cather was awarded the Victoria Cross for his actions on 1 July 1916, the first day of the Battle of the Somme. His mother was from Portadown and his father from Coleraine and though his home and schooling was in England, his school holidays were spent in Portadown. His education at Rugby was cut short by the death of his father in 1908 and from 1909-11 he served in the ranks of the 1/28th Battalion, The London Regiment (Artist’s Rifles) Territorial Force. In 1912, he began working as an executive for the Tetley Tea Company in which his father had been a Director. He sailed to America to work in their New York office in January 1912 and returned to Britain in May 1914. As Adjutant Cather did not take part in the initial assault of the 1 July 1916 against the Germans near Beaumont Hamel. 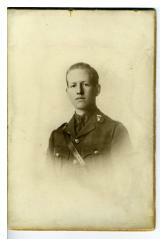 Of the 600 men of the 9th Battalion to go into the attack, only 80 made it back to their own lines. In the aftermath of the first few hours of the battle, many hundreds of the dead, dying and wounded lay in no man’s land while the battle continued to rage around them. Many of the men and officers of the 36th (Ulster) Division could not listen idly to the cries for help. 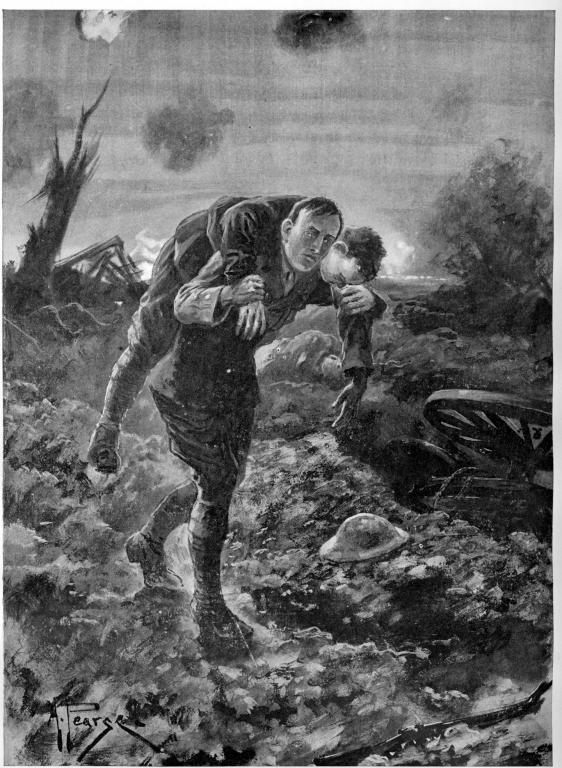 Cather, accompanied by Captain W J Menaul, the Battalion’s Intelligence Officer, crawled around no man’s land, bringing water to the dying and carrying or dragging many wounded soldiers to where the stretcher bearers could reach them, 'how his slight figure was able to aid and almost carry helpless and heavier men was a wonder, and no sooner did he hand a man to willing hands at the wire than he was back again to continue his search'* They continued this work until darkness fell and began again at first light the following day. At all times during the rescue attempts the German machine gunners and snipers tried to pick them off. Artillery shells and mortar fire also exploded around them. Around 1030 hrs on 2 July 1916, a machine-gun burst hit them both, killing Cather and badly wounding Menaul. 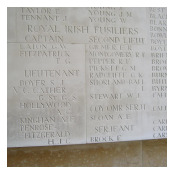 Cather’s body is believed to have been buried near 'Beaumont Hamel 25' but the grave was subsequently lost and he is now remembered on the Memorial to the Missing of The Somme at Thiepval. Lieutenant Geoffrey Cather was awarded the Victoria Cross and Menaul the Military Cross for their exceptional bravery on 1 July 1916. Rifleman Robert Quigg of the 12th Battalion The Royal Irish Rifles was also awarded the Victoria Cross for rescuing wounded soldiers in the same area. For most conspicuous bravery. From 7 p.m. till midnight he searched ‘ No Man's Land,’ and brought in three wounded men. Next morning at 8 a.m. he continued his search, brought in another wounded man, and gave water to others, arranging for their rescue later. Finally, at 10.30 a.m., he took out water to another man, and was proceeding further on when he was himself killed. All this was carried out in full view of the enemy and under direct machine gun fire and intermittent artillery fire. He set a splendid example of courage and self-sacrifice. *This is from an article by Delmege Trimble, editor Armagh Guardian and great friend of the Royal Irish Fusiliers and who had known Geoffrey Cather and the Shillington family, published in the Faugh a Ballagh Gazette in 1927.